Here is a small stamping design I did really fast on the corner of the table because when you are near from the end of a semester and you teach 181 students, you have a LOT of assignments to correct and not a lot of time to do it. Also, since I can't live without having my nails done, I came up with this! 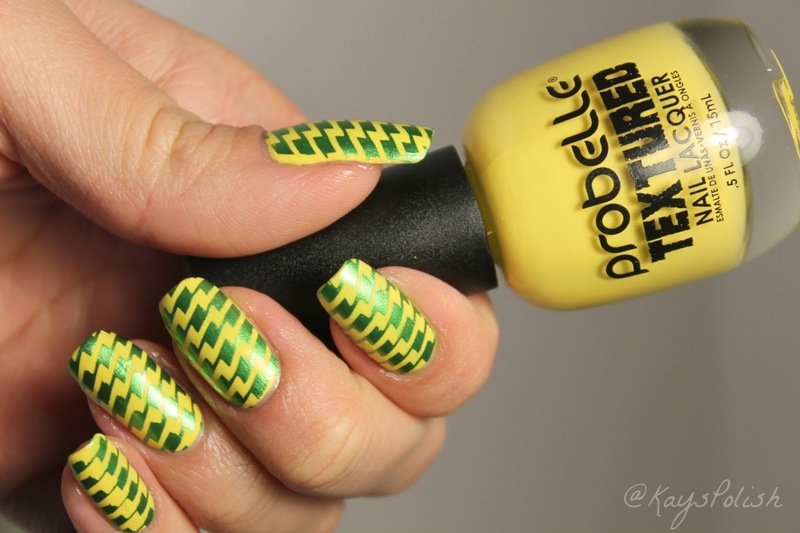 For the base color, I used ''Yellow'' from the Probelle Beauty Textured collection. The stamper (item #24021) and scraper (item #21872) are also from the same store. I just love how the combination of color came out. It even made my students react so it's a good sign.